back to "Marianne's Creative Home 2001"
" Sandy's" Afghan Plus 13 !" 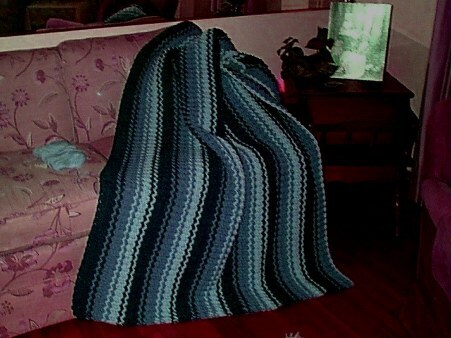 | "Sea Breeze" Afghan Plus 5." | " Rose's" Afghan Plus 1" | " Kitty's" Afghan" | "Gordon's" Afghan" | "Wine & Roses" Plus 5" | "Mitch's Drifting Sands" Afghan Plus 5" | "Drifting Sands" Afghans Plus 5! | "Wild Ones!" Afghan | "Creamy Peach" Afghan | "Cool Breeze" Plus 8 . | " Heavenly Ice" Plus 4" | "My Bacic Diamond Plus 4" | "Ron's & Don's" Plus. | "More Switch & Count" Plus 9.! | "Provincial" Plus 3. | "My Sign of the Fish" Plus 4. | "My Teepe" Plus 3. 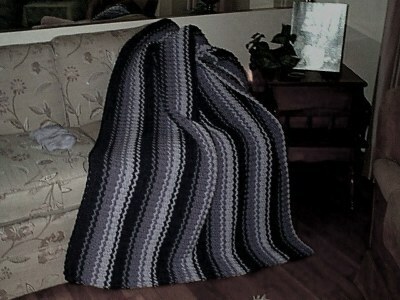 | "My Sampler" | "Easy "Classic' Afghans 2.! | "BABY AFGHANS" Plus ! | " Jodi's" White Sweater/Jacket" | "Shades of Brown Sweater/Jacket" | "Spring ..Key lime Sweater/Jacket" | "Danielle's Sweater/Jacket" | "My Camouflage Sweater/Jacket" | Step-by-Step 'Crazy Cluster' Instructions! | "Plumberry'' & "Blue " Sweater/Jacket Coat ! | "Promote YOUR site here, FREE submit" | Links to my 'Other Sites' plus! | "ABOUT ME' ??' | "Sample Designs".Coming Soon!
" Sandy's" Afghan Plus 13 !" "NOTE:" !! Christmas is coming! 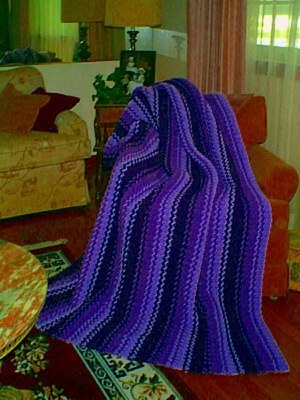 Place your Special Order now...(first come/first serve)A great gift for those 'that don't' crochet! ! 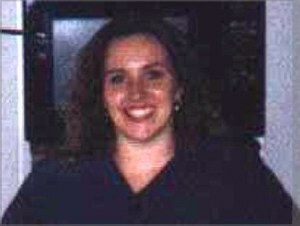 days 'til the year 2002. 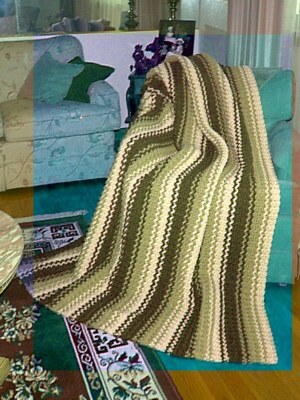 This is 'the Original .."Sandy"
And this Afghan is named for 'her' ! 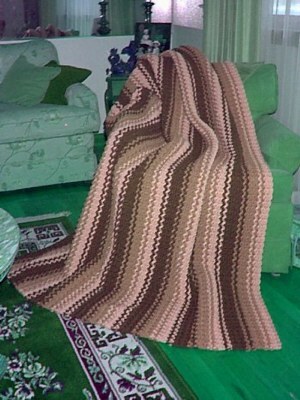 Here are some Variations of : "Sandy's Afghan"
And below....come 'Lots of Color Variations ! and here are some Color Variations!! I am 'accepting' Special custom ORDERS. "This is how large it really is when 'completed' ! Oh yes...... keep scrolling..... there are 'more' color variations !! 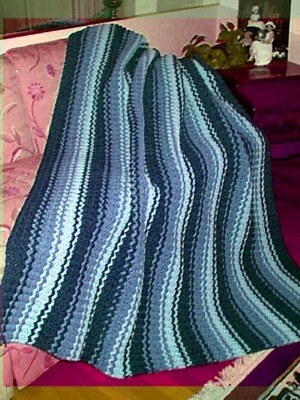 "Soft Browns'' How's this for 'Teal Green and soft Blues'? How's this for 'Teal Green and soft Blues'? If you like 'Greens' !! Now How about 'Black and Gray'? How about this one is 'Soft Reds, and Rose?? Please, let me know 'what you think' ! Please note: "Orders are only taken for the "STRIPED AFGHANS"
BY 'ME' ........Marianne E. Christiansen.